"We've grown into a formidable investment company and retain a core competency around adding strategic value to our investments." 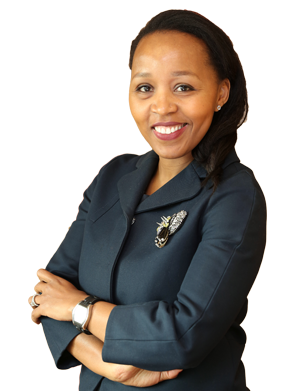 A director and shareholder at Sphere, Marang is responsible for deal generation, execution and post-investment management of Sphere’s portfolio companies and represents Sphere on the boards of Honeywell Automation and Control Solutions, BBD, Pandrol SA, Busby and Pearson South Africa. Marang gained her experience as a research analyst and portfolio and investment manager at asset management companies Futuregrowth and Standard Corporate and Merchant Bank (SCMB). With exposure to the equity environment over a range of industry sectors, the graduate from the University of the Witwatersrand has nurtured a sound business network. She has been awarded a CFA charter from the CFA Institute and has earned an Advanced Certificate in Entrepreneurship from HEC Paris. Marang has served on the Executive Committee of the Association of Black Securities Investment Professionals (ABSIP), and is a former board member of the Financial Sector Charter Council. She was also part of the team that made recommendations to the Department of Trade and Industry on the treatment of private equity funds under the Codes of Good Practice. In her strategic capacity at Sphere she serves on the executive boards of Pearson SA, BBD, Honeywell ACS, Pandrol and the Busby group. In August 2014, Marang was appointed as an independent non-executive director and audit committee Chairperson of Ace Insurance Limited South Africa and in December 2015 as a non-executive director of the SPAR Group Limited. She is passionate about issues around entrepreneurship and regional economic development and is a member of the Board of Trustees of the African Leadership Network – the leading platform for leaders of African origin to collaborate through investment, trade, policy formulation and advocacy to drive the continent’s prosperity. Marang is a Fellow of the inaugural class of the Finance Leaders Fellowship Program and a member of the Aspen Global Leadership Network.